Hearty Condolence! 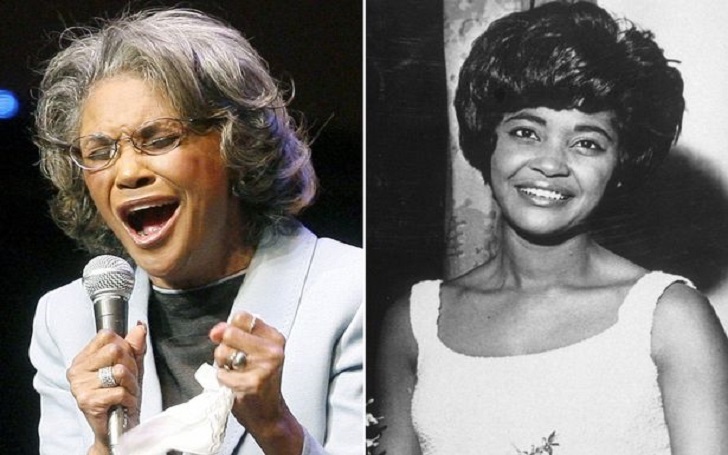 Nancy Wilson, the Grammy-winning pop and jazz singer, has died at the age of 81. The songstress' death was confirmed by her Devra Hall Levy who told The Associated Press on Thursday, December 13, that Nancy died peacefully after a long illness. She passed away at her home in Pioneertown, a California desert community near Joshua Tree National Park. Influenced by Nat "King" Cole, Dinah Washington, and other stars, Nancy covered everything from jazz standards to "Little Green Apples". Nancy released eight albums alone in the 1960s. Her albums reached the top 20 on Billboard's pop charts. Nancy, who was elegant and understated and conversational, was best known for her breakthrough song Guess Who I Saw Today and the "(You Don't Know) How Glad I Am" (1964). According to a family statement, there will be no funeral service in accordance with Nancy's wishes. A celebration of her life is set in February, the month when she was birth. Nancy is survived by her daughters Sheryl Burton and Samantha Burton; son Kacy Dennis; sisters Brenda Vann and Karen Davis and five grandchildren. Rest In Peace Nancy Wilson!